Stanley Waterfall joined the York and Lancs Regiment on the 9th December 1915 and was placed transferred to the Army reserve on the 10 December 1915. Stanley was recalled from the Army Reserve and mobalised on the 21st January 1916. His medical examination on the 21 January 1916 at Sheffield records that he was 5 feet 4 and a half inches, and he weighed 128lbs. The medical examination showed that he was fit for general service, but he needed dental treatment. Transferred to Class "Z" Army Reserve. 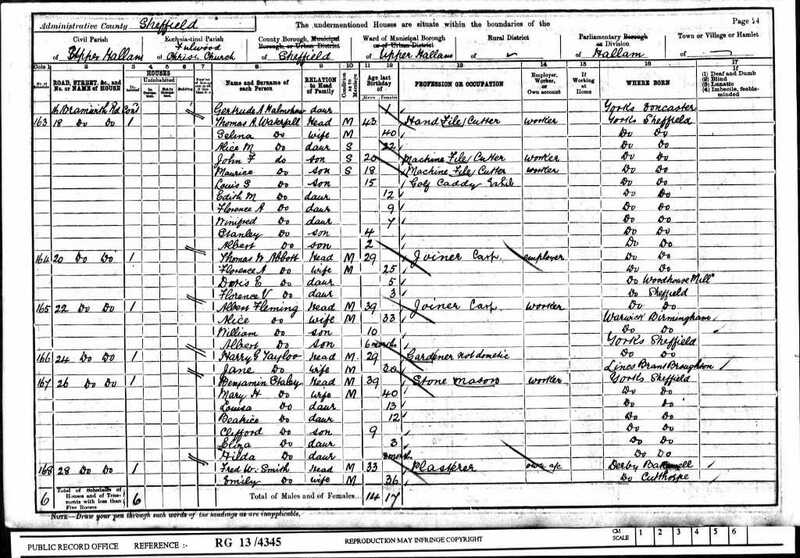 [S3] Birth Indexes, Compiler: General Register Office, December 1896 Ecclesall B 9c 399 (Reliability: 2). [S39] WW1 Service Records, (Ancestry.com), WO363. (Reliability: 2). [S1] Death Indexes, June 1971 Sheffield 2d 269 (Reliability: 2). 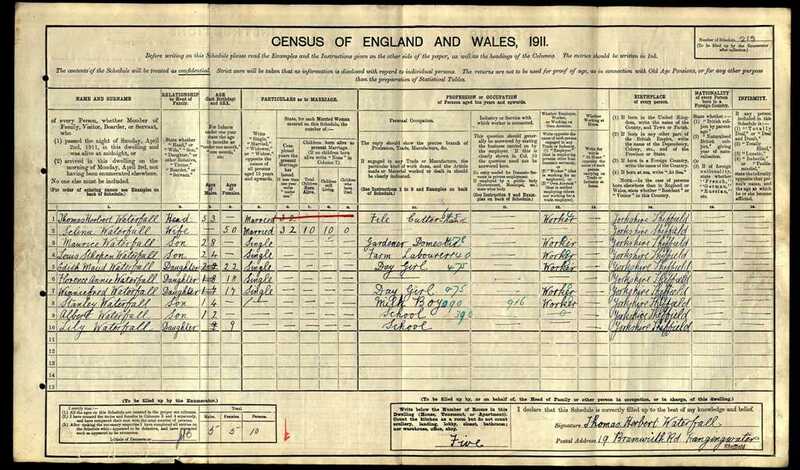 [S2] Marriage Indexes, June 1934 Ecclesall B 9c 1053 (Reliability: 2).